In the era of YouTube, Netflix, Hotstar and Hulu, trying to run a theatre feels like running an old-school bookstore; you imagine the Goliath that is Amazon scooping up all of your reading audience, and occasionally turning back to give you a snarky laugh. In Mumbai, in the heart of India’s film capital, the movie industry seems to be slowly creaking its 150-plus-year-old knees. It is trying to take a step towards a future, bereft of the traditional business model—no depending on theatre owners, distributors, all the middlemen. One foot, though, is firmly fixed where it has always been. Drawing crowds to swanky multiplexes run with state-of-the-art projectors and Rs 100-crore collections are still a matter of prestige, and a challenge. In the midst of all this, running or watching weekly releases in an old single-screen cinema seems like a ridiculously romantic idea. It’s not exactly a rewarding venture, it’s a white elephant, to put it mildly. But it is very endearing to see the last of them fighting to exist at this point in the 21st century. The best of the lot can be found in South Mumbai, the older and more historic part of the city. The cinema boom of the 1930s and 40s gave rise to several Art Deco-themed theatres. Perhaps the oldest of them all, that still functions as it did when it opened with a Laurel and Hardy comedy in 1933, is Regal Cinema. It has that signature ‘Colourcrete’ yellow shade—a finish you can find on most other Art Deco buildings that sprung up in the area at the time. Tourist guides will not fail to share the nugget that Regal was the first air-conditioned cinema in the country. Or that it was constructed by Charles Stevens, whose father designed the gloriously Gothic/Indo-Saracenic Victoria Terminus (now Chhatrapati Shivaji Maharaj Terminus) in the Fort Area. Regal Cinema’s official website claims it has played host to a Filmfare Awards night. Regal Cinema has that signature ‘Colourcrete’ yellow shade. Regal’s setting, despite its minimalism, seems like it is meant to screen only the finest of arthouse movies. But given its dire financial situation, it cannot afford to miss potential mass entertainers that run for several weeks or more than a month—like Tiger Zinda Hai and Baaghi 2 in recent times. Of course, the fonder memories I have are from watching a lineup of international movies that were screened during an annual film festival (Loving Vincent, Spoor–a Polish murder drama), apart from the Hollywood summer action/sci-fi films (Deadpool 2, Ant-Man and the Wasp and Star Wars: The Last Jedi looked and sounded absolutely wonderful here). There’s one quaint thing about this cinema. It always screens a major Telugu movie on its release day (or slightly later) for a morning show. As I type, Regal has listed the acclaimed Telugu indie C/o Kancharapalem for 9:30 AM on Sunday (Sep 9). Eros Cinema’s octagonal tower with red bands stands out in the town’s skyline. Giving company to Regal in age and grandeur, just a kilometre away across the Oval Maidan, is Eros Cinema. It is only five years younger than Regal, but was designed to be a significantly grander building. Its octagonal tower with red bands stands out in the town’s skyline. When I arrived in Mumbai, in the first few weeks, it served as my compass from afar, to navigate my way to Churchgate station, located just across the road from the theatre. Unfortunately, it has been closed for more than a year because the owners have not been able to pay salaries to their staff (amounting to Rs 4 crore according to newspaper reports). Further up towards Marine Lines station, tucked into one of the narrow streets on the right, is a real trump card of a single-screen theatre: Liberty Cinema. Symbolically named so, because it was opened just two years after India’s independence. My first movie here was supposed to be Thor: Ragnarok, but the screening was cancelled owing to projector issues—yes, this is still a thing here. So I stopped caring about the theatre for a long time. Stepping into Liberty is like entering a time capsule. It was only when I bought a balcony ticket for the recently-released comedy-horror flick, Stree, that I realised what I had missed out on. Stepping into Liberty is like entering a time capsule. This is what a red-carpet premiere for a Raj Kapoor film must have felt like in the 1950s. The colour scheme seems right out of Wes Anderson’s Grand Budapest Hotel. Liberty is grander than grand, with its row after row of old-fashioned seats. When you look from the seats at the front, you might think they were stretching to infinity. The concentric yellow lights overhead have a slow fade-in/fade-out effect; the grand curtain pulls up and down slowly, before the first and after the last shows of the day. All these anachronistic concepts feel like an aesthetic middle finger to nearby multiplexes, some of which were formerly single screens but capitulated to the sensibilities of a new economy—Metro, Sterling and Excelsior to name a few. 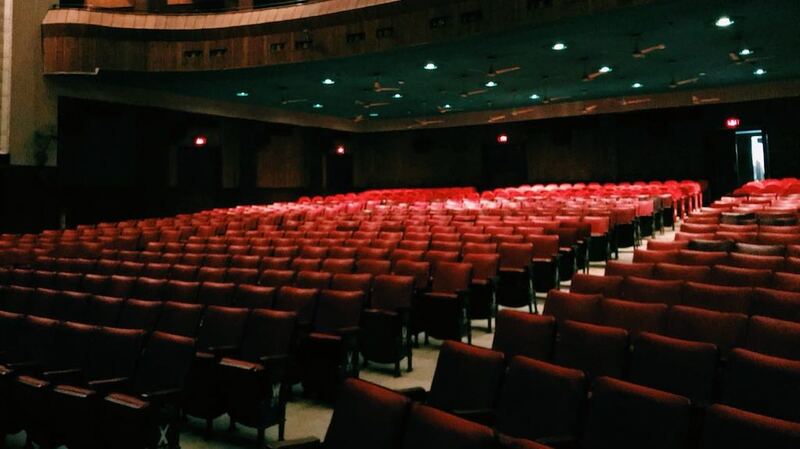 Regal, Liberty, and Eros are all 1,200 seaters—replete with the classic red-leather-bound wooden retractable chairs. Their weekday ticket prices come at throwaway rates, ranging from Rs 118 to Rs 220. What binds them further—besides bad popcorn, avoidable toilets and uniformed ushers who shine their torchlight right into your eyes—is their clandestinely-kept bad balance sheets. There was some cheer when earlier this year, Mumbai’s ensemble of Victorian and Art Deco buildings in town were given a UNESCO World Heritage tag. Regal and Eros were a part of this list as well. The question on my mind was, can this actually help turn their fortunes? Abha Narain Lambah, a conservation architect who spearheaded the movement to get South Mumbai’s unique architecture on UNESCO’s list, says there is no direct monetary benefit for these privately-owned structures. “But, there is a direct connection between tourism and economy. It can translate into funding from other sources, public or private,” she says. Lambah cites the example of Cambodia, which gets huge revenue in dollars just from tourists who come to see its famous Angkor Wat temple. But that is a monument that predates Regal and Eros by several centuries. And one that got a significant boost from the 2001 movie Tomb Raider, starring Angelina Jolie, being shot there—not only in terms of promoting culture but also from the $10,000-a-day fee that temple authorities charged Paramount Pictures. Neither Eros nor Regal can imagine gaining that much, even if Tomb Raider manages to run to full houses in their screens continuously for a month or more. Saleem Ahmadullah, the 79-year-old director of Globe Cinemas which owns Regal, puts the average footfall a day at his 1,200-seater theatre between 45 to 50. With seats priced between Rs 150 and Rs 250, business has not exactly been rosy. Even the Goods and Service Tax (GST) that has brought down entertainment tax from 45% for single-screen cinemas in Maharashtra to 28%, has not helped matters. Would the UNESCO tag be of use then? “It means a lot, it’s very prestigious, but it’s not going to be of any help with redevelopment, repairs or maintenance,” Ahmadullah says. UNESCO, according to its official website, mentions an annual $4 million World Heritage Fund at its disposal—for protection, conservation, presentation and rehabilitation of monuments. But, the fine print says the allocation would come “according to the urgency of requests, priority being given to the most threatened sites.” In UNESCO’s long list that includes ancient monuments under attack in war-torn Syria and Palestine, Mumbai’s Victorian and Art Deco buildings would certainly, and fairly, be low-priority. Can the tag then attract potential sponsors from the public or private sectors? “The government has never really expressed any interest in us for a long time. As for private patrons, there’s nothing in it for them,” Ahmadullah says. But Lambah brings up the example of the city’s Royal Opera House in Girgaon—constructed in 1911 in the Baroque style, closed in 1993, neglected for many decades and finally restored in 2008 with patronage from the erstwhile Maharaja of Gondal, whose family also owns the property now. “It is proof enough that there is hope for other buildings,” she says. Vidhani would know for sure. He is the co-owner of New Excelsior Cinema, a single-screen entity in the Fort area that was recently revamped to a multiplex. Does the government have an obligation to protect its cinema heritage at all? “It’s not possible. The government can’t maintain the Taj Mahal. How can we expect them to maintain a cinema building?” asks Vidhani. Regal Cinema and Mumbai’s Art Deco, written by Mohamed Elshahed. Available here. A news article in the Deccan Chronicle about Christopher Nolan’s visit to Mumbai, published on April 2, 2018. Available here. A news article in The Hindu about South Mumbai’s Art Deco buildings getting a UNESCO World Heritage tag, published on June 30, 2018. Available here. A case study by UNESCO on Angkor Wat’s tourism development plan, available here. An article on New Excelsior’s makeover, published on February 10, 2017. Available here. Ramakrishnan M. is an engineer-turned journalist who will read any kind of good story, especially if it involves history or trivia. He’s also considering an alternative career as a courtroom sketch artist or an amateur logo designer. When not found incessantly tweeting, he loves to stare into thin air and entrap himself within existential questions. Lover of strong coffee (half-teaspoon sugar). 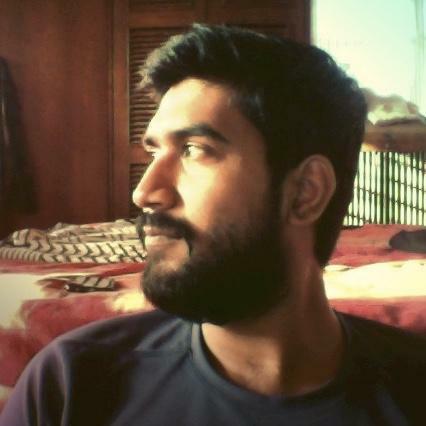 He currently works at Hindustan Times in Mumbai.